Soaring solos, a thick tone and tons of heavenly sustain. Punchy riffs thundering along like a freight train, smooth bluesy chords in light overdrive, melodies that drip off the fingerboard like dark, intense honey. The Les Paul (or LP) is one of the most iconic guitars, its creamy sound contributing to some of the greatest moments in sonic history. From Aerosmith to ZZ Top, the Gibson LP has been defining classic rock with its old-school image and deliciously warm, solid tone – an instrument every guitar player must know. Introduced in 1952 as a solid-body contender to the Fender Telecaster, the first Les Pauls were initially unpopular. These guitars were more expensive, following a more traditional style that made LPs a heavy and old-fashioned alternative to the lighter and cheaper Fender models. It was born out of a collaboration between Gibson and the famous Jazz guitarist Les Paul, who had built one of the first ever solid-body guitars himself in 1940. The first LPs were known as Goldtops: these featured single-coil P90 pickups with a more gnarly and complex tone, and were finished in gold to underline Gibson’s reputation for excellence in quality. The Gibson Les Paul Standard proved that a traditional manufacturing approach still resonated in the automated era. But the classic Les Paul that I want to write about is really the Les Paul Standard. It appeared in 1958, after Gibson made some small design adjustments, mainly in finishing and pickups. Seen at first in the hands of blues legends Freddie King and Muddy Waters, the instrument’s popularity became institutionalized through the likes of Keith Richards and Eric Clapton – even Jimmy Page ultimately ditched his Telecaster for the Les Paul. Despite the initial commercial flop, the Gibson Les Paul Standard proved that a traditional manufacturing approach still resonated in the automated era. Unlike Fender, whose design philosophy focused on cost-reduction, Gibson continues to base its craftsmanship on traditional luthier principles. It starts with the choice of wood: LPs are made mainly of expensive mahogany, a tropical wood that has long been associated with top-quality instruments. To counteract the dark, warm sound of the mahogany, the LPs body is capped with a layer of maple, lending it some brightness and definition. Maple comes in many different grain-patterns, which gives some LPs a wonderful shimmery effect. Noble ebony, with its sleek feel, is often used for the fingerboard. Because of the type of wood used and the thicker body, these guitars are heavier than most – but the mass helps with sustain, and the solid feel gives many players a more grounded sensation when wielding their “battle-axe”. Much of what makes the Les Paul special and symbolic are the classic aesthetics. For fret markers they have block inlays that have to be carefully routed into the fingerboard; the maple top is carved into a soft, feminine domed shape; woods are selected taking into account their symmetry and beauty, while the neck and body are bound in black and white strips. 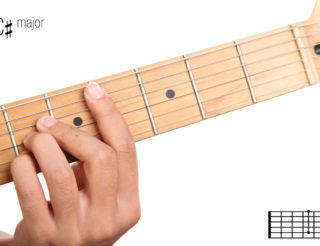 The Tune-O-Matic bridge system allowed you to adjust the intonation for each string individually and provided a solid connection between the guitar body and the strings. Seal it off with the classic sunburst finish to make them look like the Eye of Sauron, and you have an object of prestige and pride. But the electronic side of the LP, its beating heart, is perhaps its most significant feature. 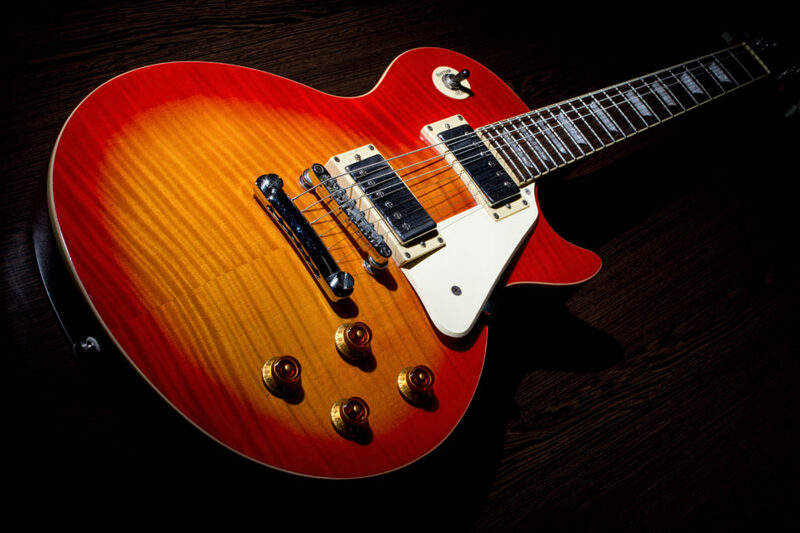 Although the iconoclastic meaty sound of the early Les Pauls with P90 pickups is back in vogue today, the LP became mostly associated with its PAF (Patent Applied For) Humbuckers. 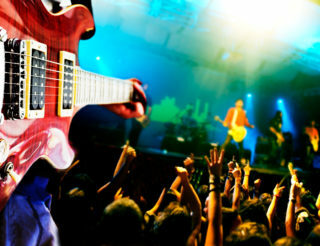 Most guitars at the time used single-coil pickups. These respond to electromagnetic interference from the mains, resulting in a low, consistent buzzing; by using a second coil, humbuckers filter out this noise, thus ‘bucking the hum’. The second coil also reduces some of the higher overtones, giving these pickups a warm, round sound, and increases the output of the pickup, perfect for thicker overdrive – Rock ‘n’ Roll had found its monster! Both neck and bridge pickups can be played together or individually, while each pickup has its own tone and volume know assigned to it. This gives you the option of blending the mellower neck pickup with the more assertive bridge pickup into exactly that nuanced tone that you are craving. Contributing further to the cream is a glued-in neck (which produces more fluid sound-waves) and a relatively shorter, 24-inch scale-length that gives a softer attack.